The Statistical Consulting Service (SCS) contributes to ­research and statistical education at York University and beyond. We provide assistance in research design, data collection, data analysis, statistical computing, and the presentation of statistical material to researchers at York. Our consulting services are free for members of the York community. We also hold short courses on statistical topics such as how to use R, SAS and SPSS and how to use statistical methods like structural equations models and hierarchical models. Graduate students in quantitative areas like statistics and quantitative methods in psychology work as interns with SCS. To make an appointment to see a consultant or to get information on short courses visit the SCS website. The applied interests of our faculty also lead to various industry or other collaborations. Many of our faculty have been involved in organizing industrial problem solving workshops at the Fields Institute in Toronto and at the Centre for Research in Mathematics in Montreal. The objectives of these workshops are 1. to develop research collaborations between academic and industrial researchers, and 2. to train students and postdocs to solve real world problems. Faculty and students also interact with industry via the Mitacs Accelerate program. Examples include financial and statistical projects. 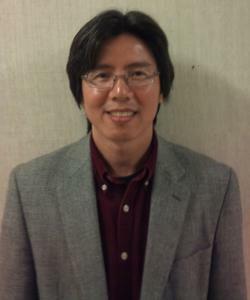 PROFESSOR HUAXIONG HUANG: "I am currently leading a MITACS accelerate cluster with DBRS as the industry partner. DBRS is a Toronto based rating company. The project consists of 18 internships with a total funding of $240,000 for three years. My co-investigators are Melanie Cao (Schulich) and Sebastian Jaimungal (Toronto). We are testing and analyzing models for predicting default probabilities of both public and private companies. The ultimate goal is to help DBRS develop more reliable models than the ones currently available." 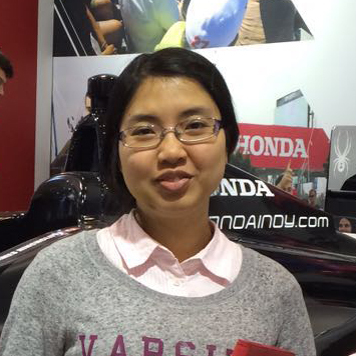 PHD STUDENT XUAN LI: "I am a Ph.D. student working with Professors Cindy Fu and Steven Wang. We are collaborating with Professor Martin Frasch from the Department of Obstetrics-Gynecology at the University of Montreal. As part of the collaboration, I have been working on analyzing signals and variability measures in order to build a real time predictive algorithm for assessing the well-being of the fetus at the end the pregnancy. The goal of the project is to figure out ways to reduce permanent brain damage to the new born baby due to various medical complications right before the delivery. "